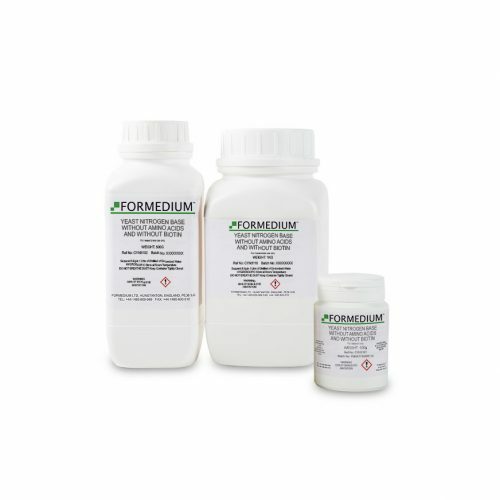 Yeast Nitrogen Base media have been prepared according the to formulae of Wickerham (1943-51) and Burkholder (1943). 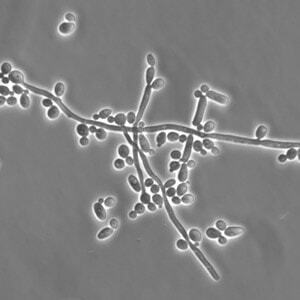 Their research on the nutritional requirements of yeast strains resulted in the formulation of Yeast Nitrogen Base (YNB). YNB is a well defined composition of salts, vitamins, amino acids and a nitrogen source for a vigorous growth of Sacharomyces Cerevisiae. 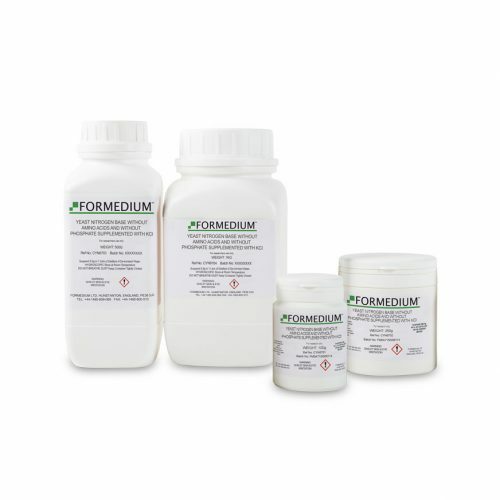 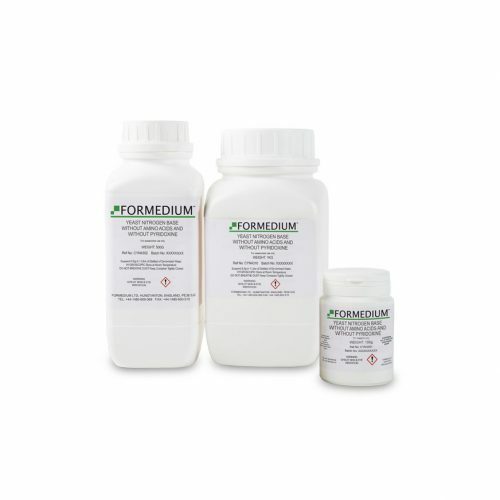 Besides the original formulation of YNB, Formedium™ produces many variations of this medium without one or more components. 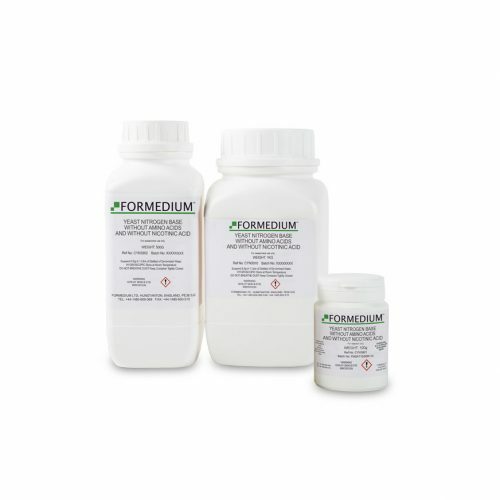 These YNB without ‘X’ media provide the researcher the possibility to grow yeast cells in the absence of a certain component or to replace a particular component. 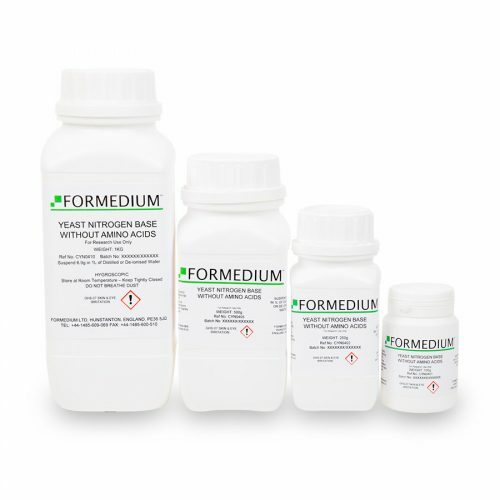 * Please note all formulations within this product range are based upon Yeast Nitrogen Base without Amino Acids and without the Component/Components selected.